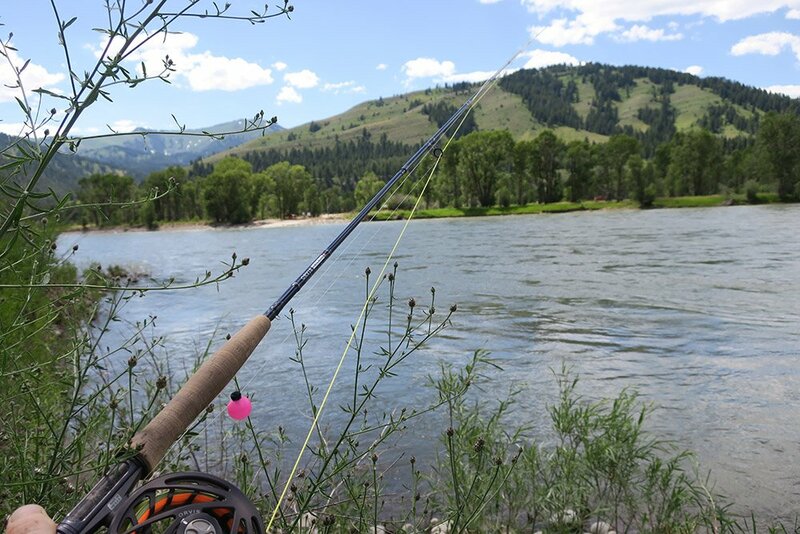 JACKSON, WYO – Orvis and the Snake River Sporting Club have teamed up to create one of the countries best Fly Fishing Schools located on six miles of pristine world class fishing along the Snake River. 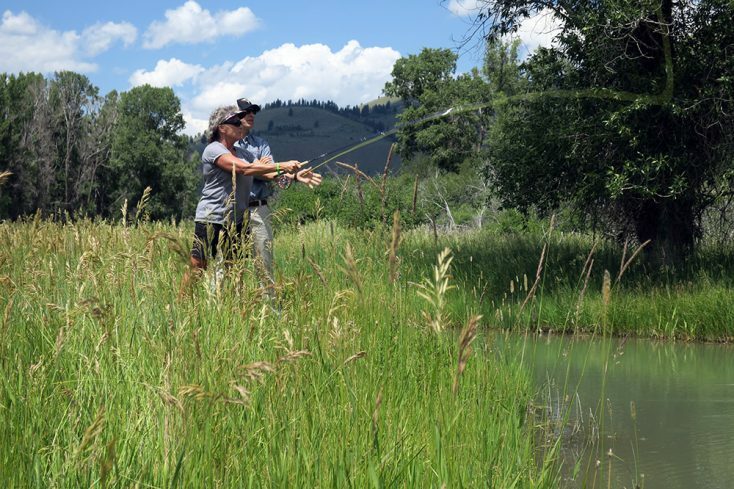 The Orvis Fly Fishing School taught by Spencer Morton a two-time Wyoming Top Fishing Guide and owner of the Jackson Hole Fly Fishing School “strives to to make the experience more then just fishing” according to Morton. 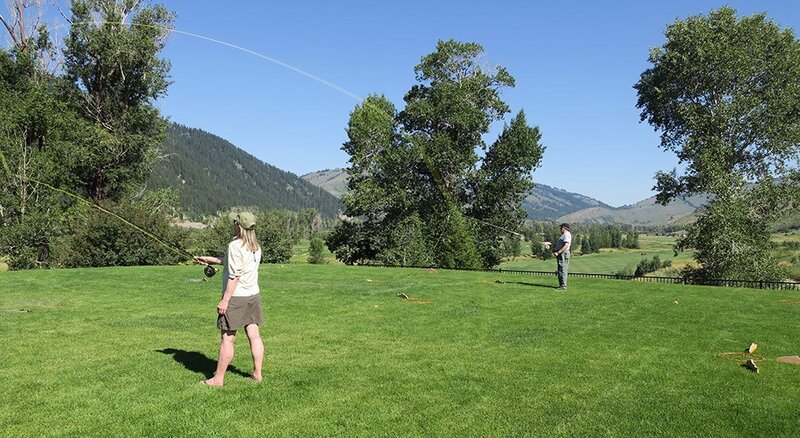 This summer marked the second season of the Snake River Sporting Club and Orvis working together to teach the Orvis Progressive Method to Fly Casting, fly-fishing fundamentals and techniques within Orvis’s proven curriculum. 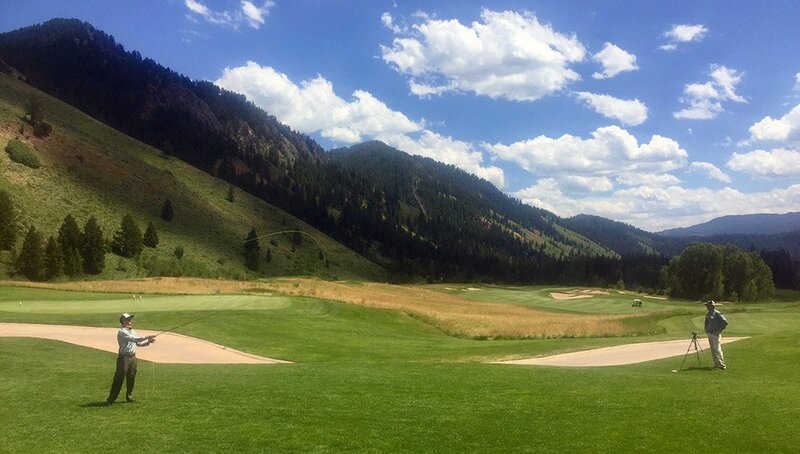 Known for some of the best golfing in the state the 800-acre Snake River Sporting Club was awarded #1 private golf course in Wyoming for 2017-2018 by Golf Magazine. Along with a Tom Weiskopf-designed championship golf course, shooting clays, cross country skiing, world class fishing and more just out your backdoor its not wonder outdoor lovers in the know choose to call the four-season residential community of the Snake River Sporting Club home. 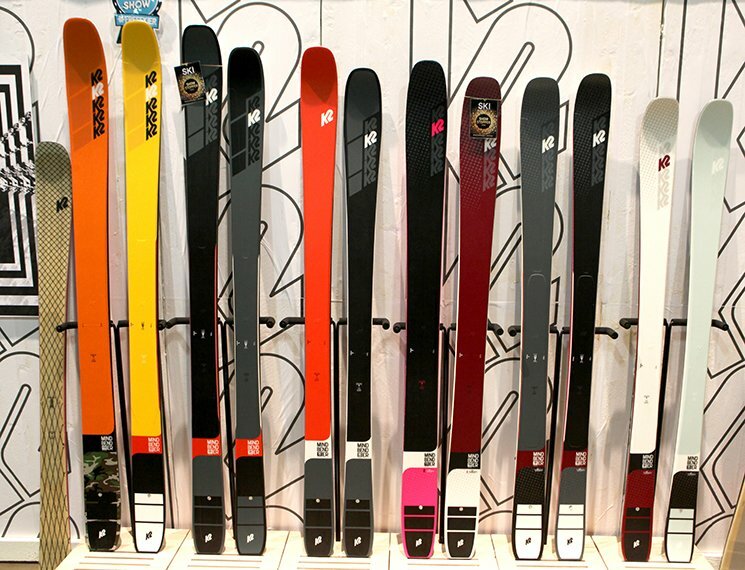 SRSC is also the base of operations for Jackson Hole’s only helicopter skiing operation during the winter months. The private Snake River Sporting Club is buzzing with excitement year round. Each morning classroom session take place in the clubhouse, followed by afternoon sessions outdoors along the Snake River. 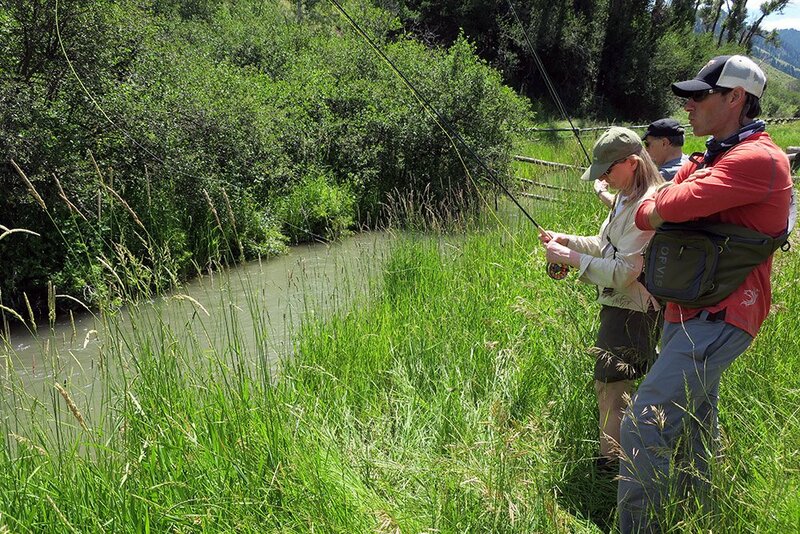 One of the benefits of taking an Orvis endorsed fly fishing school is your access to gear. I showed up for the class without and fishing equipment and that was OK as field boots, waders and all the fishing gear we needed was provided including lunch. 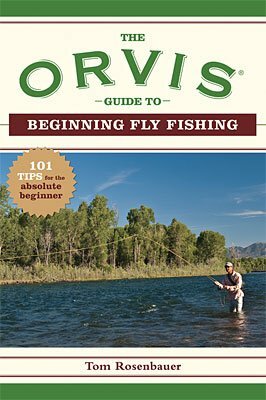 Orvis is clearly no stranger to fishing and introducing new anglers to the sport. So it wasn’t surprising to have a fun and easy to follow curriculum over the course of two days. One of the things I liked the best was the size of the class, a 4-1 ratio meant each student received personalized instruction from our instructor Spencer. 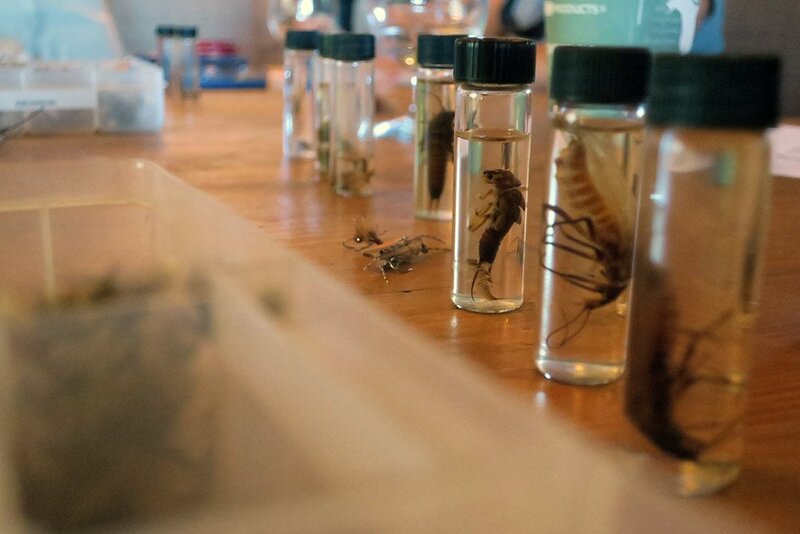 The classroom sessions covered everything from the history of fly’s, what a trout’s diet is like, what’s hatching, what fly’s should I use and so much more. Students come away knowing the 4 types of flies commonly used, what the optimal temperature is for fishing, basics aquatic entomology, I could go on for days. Even with all the technical aspects of fly fishing that were introduced, the classroom learning never felt overwhelming especially for a group of people that had been out of school for decades. Although the classroom was fun and we learned a bunch, everyone was itching to do some false casting which as Spencer mentioned was “one of the most overused aspects of fly fishing”. 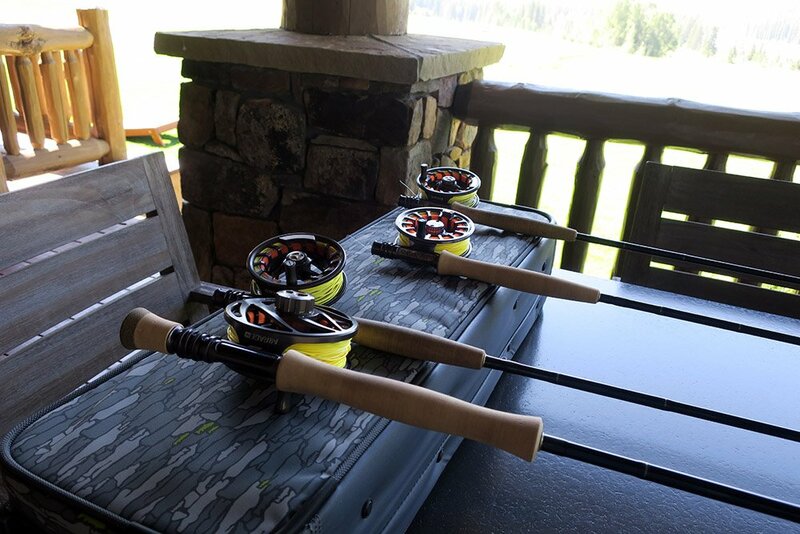 Before we could get outside to play we got our hands on brand new Orvis fast action Helios rods to learn with. Orvis provided all the fishing gear that was needed for the Orvis Fly Fishing School hosted by the Snake River Sporting Club. Not only was there gear to use and learn with, it was some of the best fly fishing equipment on the planet. The Orvis Helios rods gave us a real feeling for the bending, loading and fling feel that’s so important to fly casting. Along with fly casting each student in the Orvis Fly Fishing School learned the art of roll casting, how to false cast, how to add tippet to a leader and for beginner’s especially how to tie on a fly. 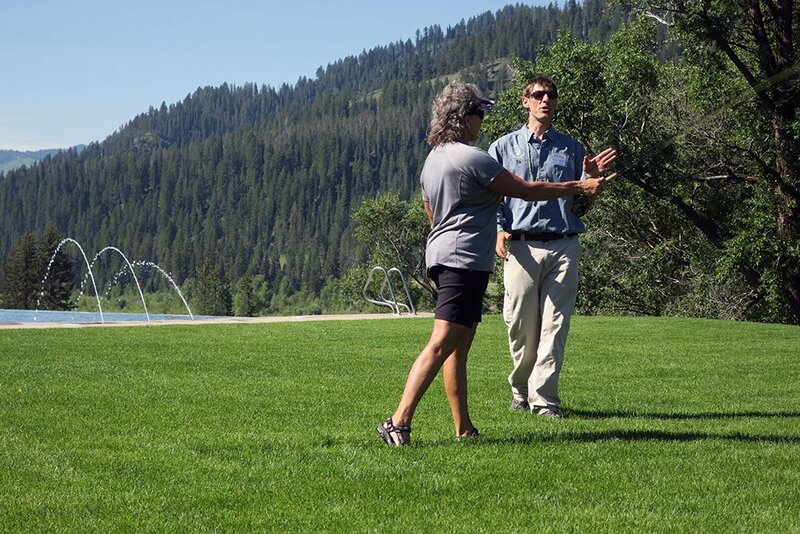 The first day of casting practice took place on Snake River Sporting Club putting greens. By utilizing the putting greens each student was able to get a feel for casting without having to worry about getting fishing line caught up, in fact we didn’t even put fly’s on until later in the day. Our instructor showed us the proper casting form and of course he made it look really easy. After a few tries and paying attention to his pointers the feeling of fly casting started to become natural by using the same amount of force to bring the line back and then forward again. The techniques we learned in the Orvis Fly Fishing School would easily take years to figure out, thanks to a couple hours with Spencer our group was ready to go fishing. With 880-acres to spread out and Spencer’s local knowledge we quickly found streams, ponds and runoff channels from the Snake River to fish. Over the entire 2-day course we never saw another person fishing at the club, we did however see lots of wildlife. 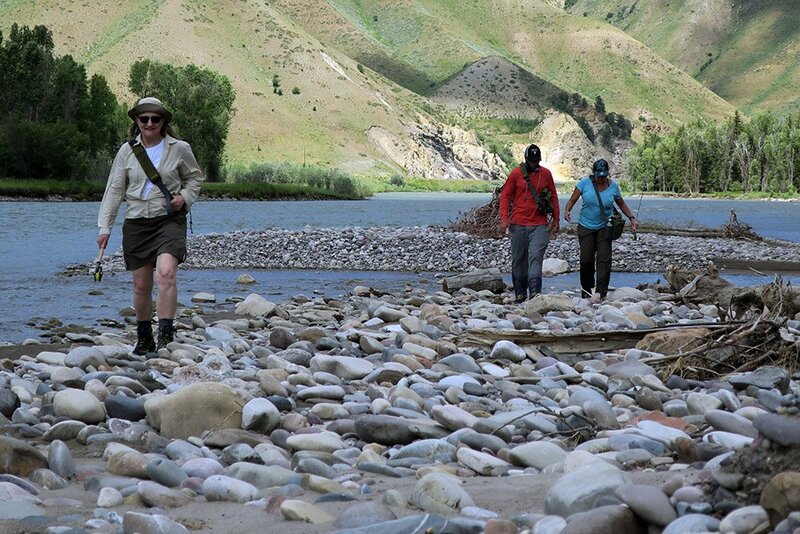 After some time in the ponds we moved onto fishing the legendary Snake River. The difference of going from fishing flat water to a fast moving current took some time to get used to but that’s exactly what we signed up for, to learn how to fish. 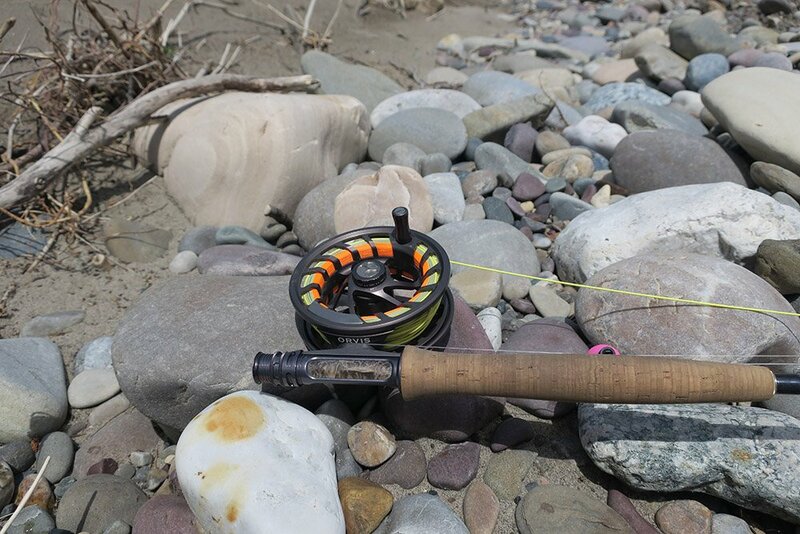 Access to the Snake River can be tough, especially if you’re wanting to fish from the banks as most of the land is privately owned. We spent a good part of the afternoon fishing this stretch of river with million dollar views and had the entire place all to ourselves. 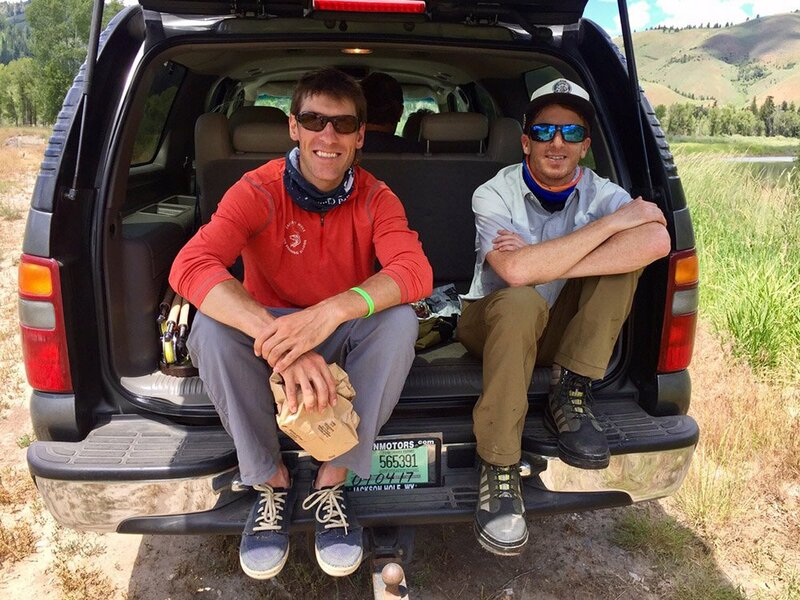 Lots of folks come to Jackson, Wyoming to fish which typically involves hiring a guide and boat and then proceeding to float down the river. But what if you haven’t spent much time fly fishing before? A good majority of clients that hire fishing guides are actually new to fishing, and for the most part just want to ‘hook some fish’ as opposed to learning the fundamentals of the sport. 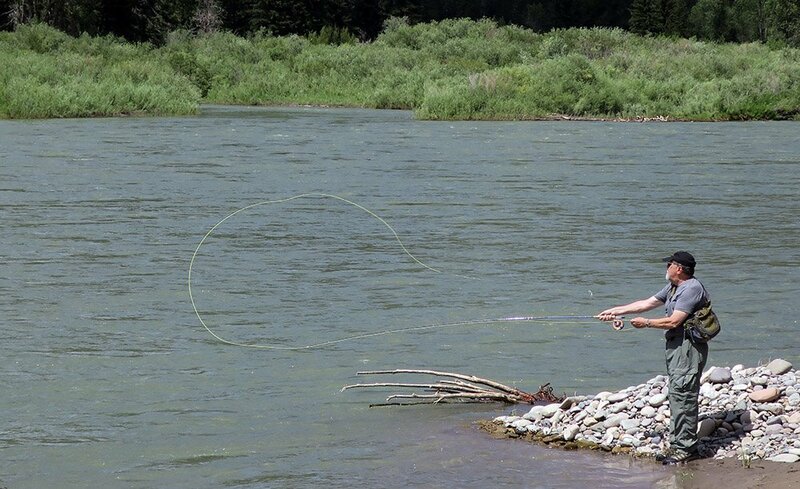 That’s where the Orvis Fly Fishing School in Jackson, Wyoming comes into play. 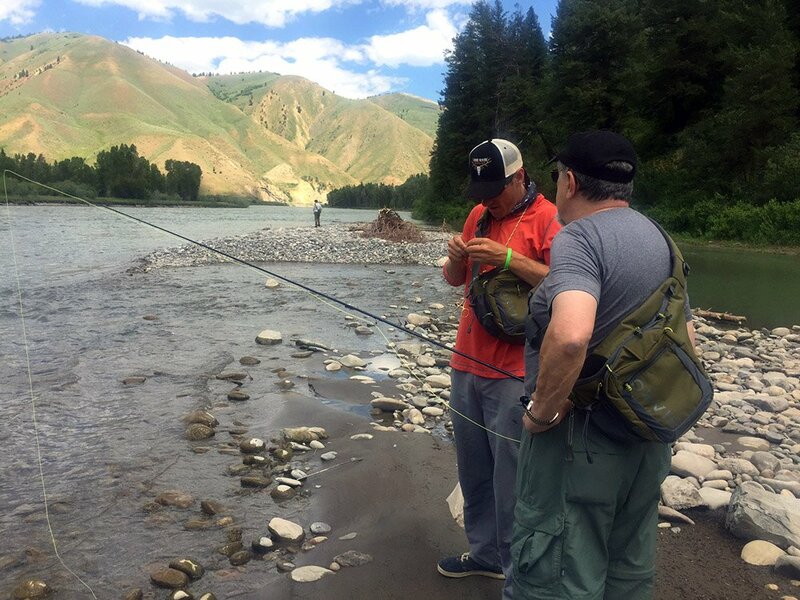 For the same cost as hiring a guide you can do so much more on your vacation by taking a 1-day or 2-day course with Spencer Morton and the Orvis Fly Fishing School at the Snake River Sporting Club. 8:30 a.m. Student registration at the Orvis Store, Jackson Hole. 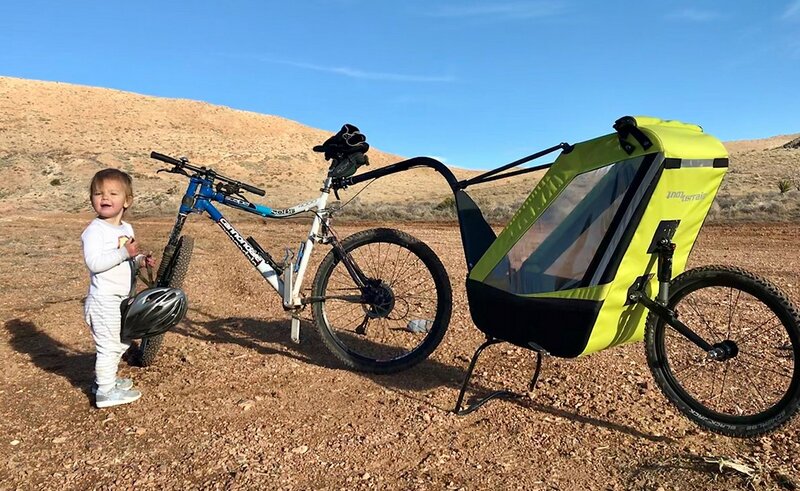 9:00 a.m. Travel to Snake River Sporting Club. 9:45 a.m. Introductions and discussion of class program. 10:00 a.m. Classroom presentation on lines, rods and reels. 1:00 p.m. Classroom presentation on leaders, and hands-on knot tying. shooting line, false casting, and roll casting. and roll casting; students casting. Video tape students casting. 3:00 pm Video tape students casting. 3:45 p.m. Classroom presentation on fly fishing equipment and accessories. 4:30 p.m. End of first day. techniques for windy conditions; students casting. 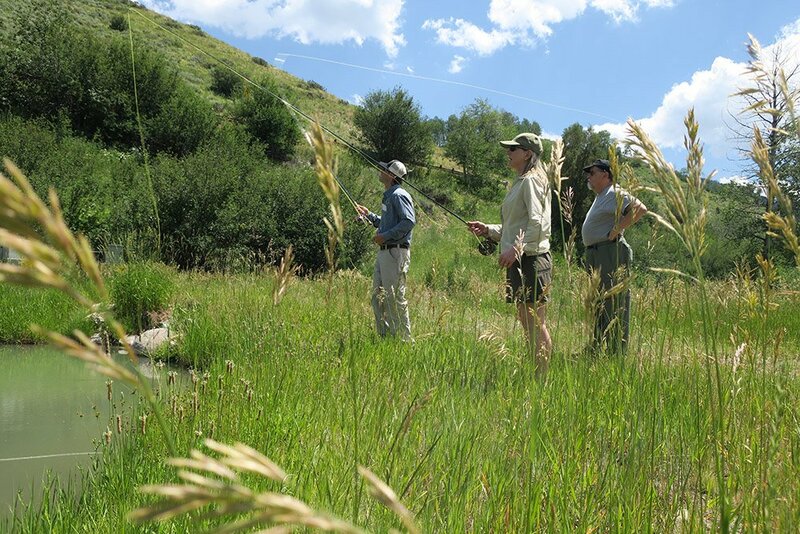 1:00 p.m. Orvis-Endorsed fishing trips, and tips on fishing with guides. 3:45 p.m. Return to classroom for closing statements and graduation certificates. 4:00 p.m. End of school. Want to become a member of the Snake River Sporting Club or own a second home here? The Snake River Sporting Club is currently adding 63 units ranging from 3-5 bedrooms that border the Bridger-Teton National Forest to the east and the Snake River to the west. This is the sort of place you call home and never ever want to leave. Hey Mike, this is great! I’m inspired. 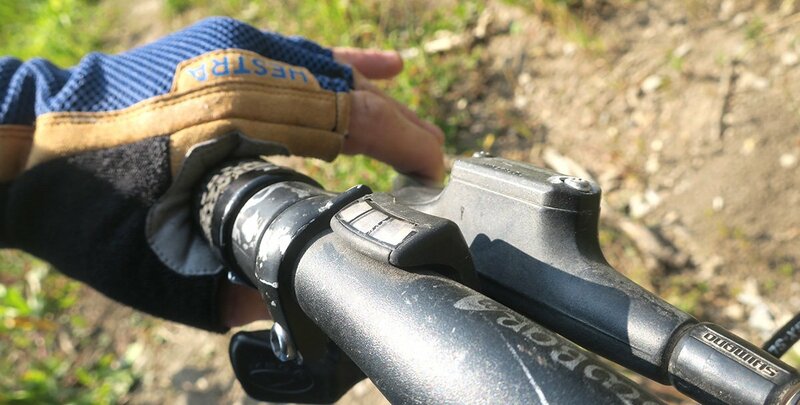 Grab my gear, jump in the truck, drive to Jackson…no kidding!